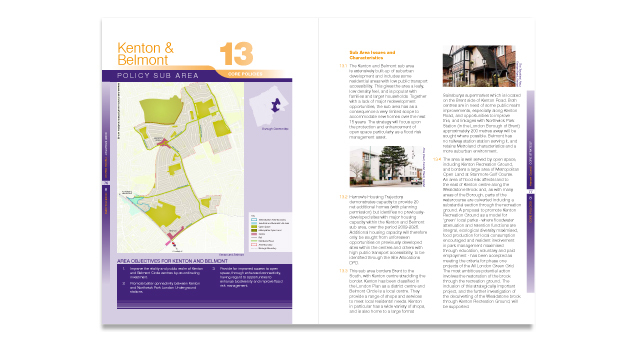 Description: Harrow’s Core Strategy was designed specifically as a long term vision of how Harrow, and the areas within it, should develop by 2026 along with the Council’s strategy for achieving that vision. 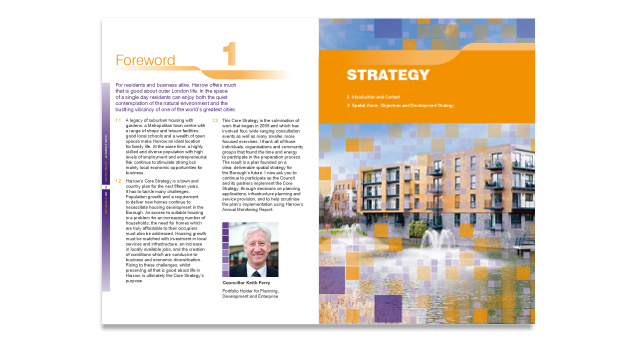 The Core Strategy is the most important component of Harrow’s Local Development Framework. 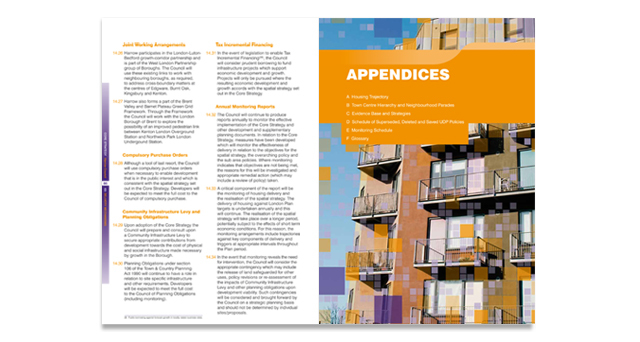 Main challenge: Create an exceptionally high quality document that achieves a clarity and legibility that appeals to professionals as well as the general public. 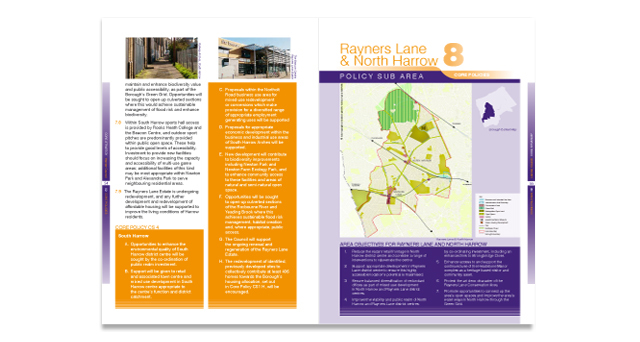 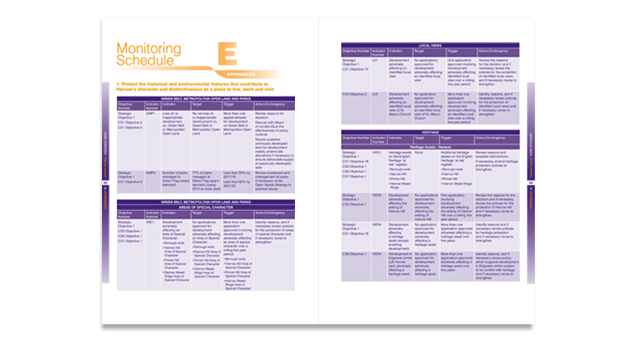 What we did: Working in association with Harrow’s Planning Policy, GIS, and Communication teams, to design the 130 page document which included a series of Core Policy maps and the Key Diagram.